Maximize your productivity during business travel. 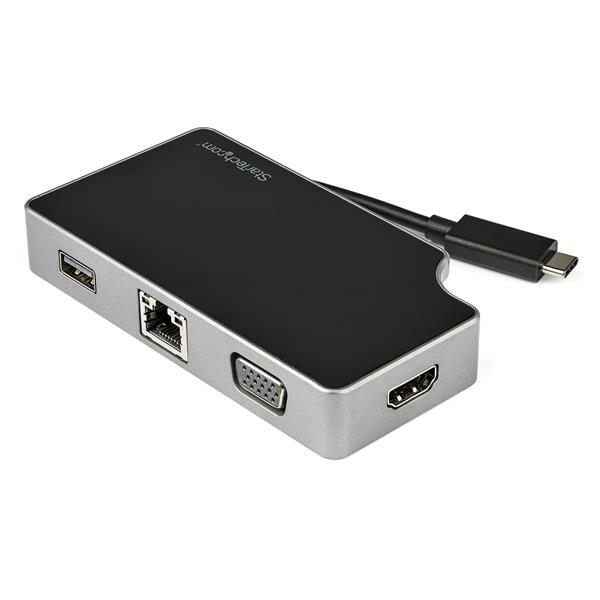 This USB-C multiport adapter with HDMI and VGA is like four adapters in one, giving you flexible video output, a USB 3.0 port and Gigabit Ethernet port, a hideaway cable, plus robust power and charging. With easy plug-and-play installation on most operating systems, the USB-C adapter doesn’t require additional drivers or software. 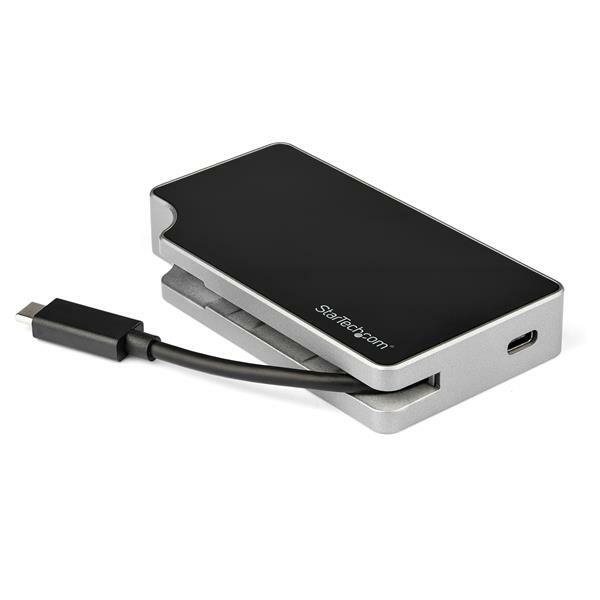 It’s the perfect accessory for MacBook, Dell XPS, Chromebook or other USB-C laptops. 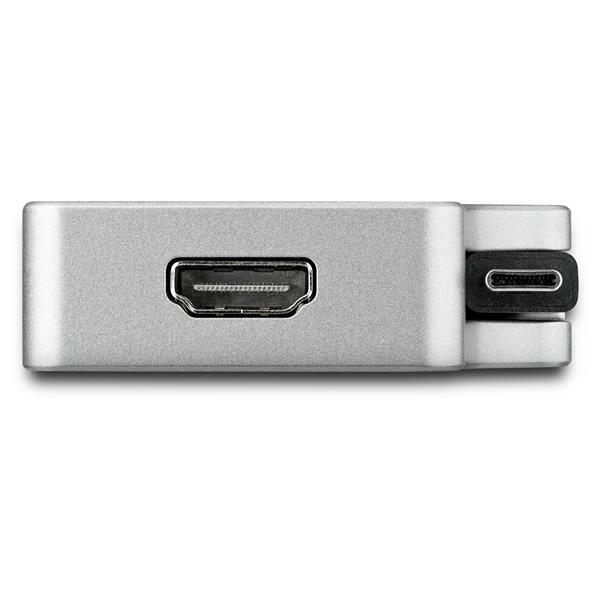 The USB-C to HDMI and VGA adapter keeps you prepared for business travel. Extend your laptop’s display by connecting to a 4K HDMI (4096 x 2160 or 3840 x 2160 resolution) or VGA (1920 x 1200) monitor or projector, to make presentations or set up a workstation. 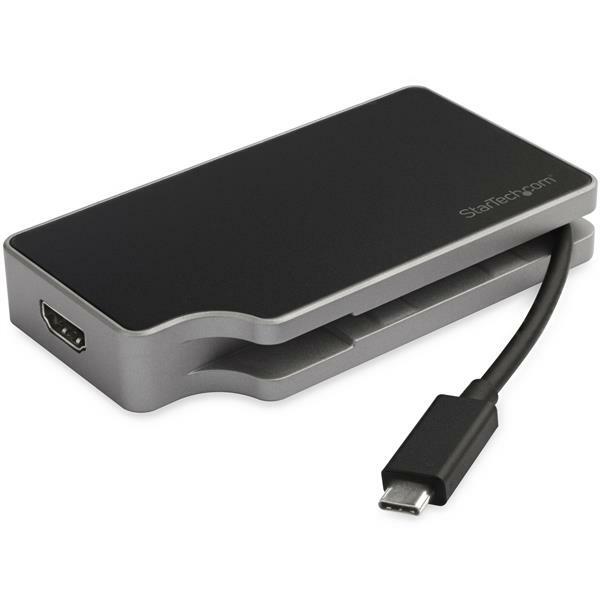 With support for 95W Power Delivery 3.0 (PD 3.0), the USB Type-C multiport adapter provides up to 85W laptop charging while also powering your peripheral when connected to a USB-C power adapter. PD 3.0 features Fast Role Swap to prevent USB data disruption when you unplug to switch power sources (USB-C power adapter to bus power). With multiple ports and an easily accessible hideaway cable, the USB-C all-in-one adapter makes an ideal travel dock. Plus, it’s bus powered for easy portability. 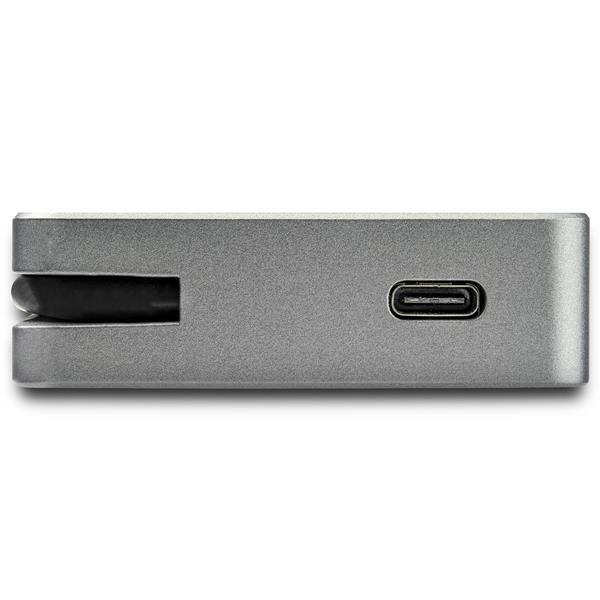 The USB-C adapter lets you add a flash drive, mouse or other device using the Type-A port. 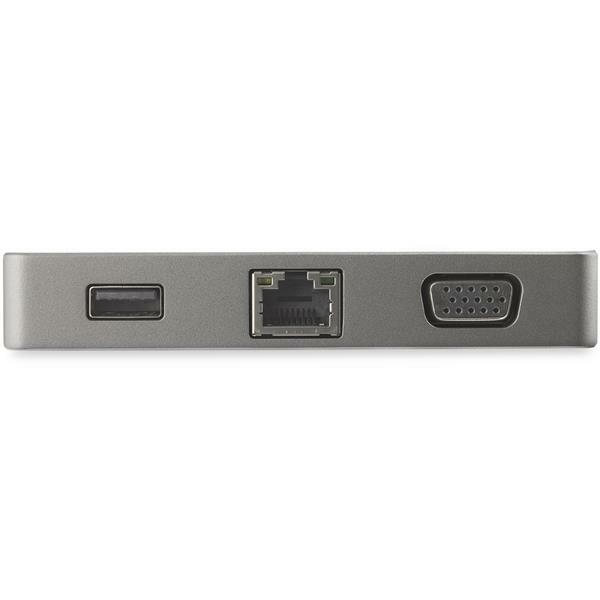 Add wired network connectivity with the GbE port. DKT30CHVGPD is backed by a StarTech.com 3-year warranty and free lifetime technical support. Your laptop may have specific requirements for charging. This USB-C multiport adapter supports USB Power Delivery 3.0, up to 95W. When using your laptop’s USB-C power adapter, the multiport adapter powers both the adapter (with attached peripheral) and your laptop - with up to 85W charging available for laptop charging. For more information on your laptop’s charging requirements, refer to the manufacturer of your laptop.